In the round-the-clock world of forex trading, there is an exceptional demand for high quality customer service. Information is vital for traders and it has to be provided on the spot. With costly international calls out of the picture, live chat seems like a natural pick for broker companies. See how these companies utilize live chat to provide quick and precise data to their busy clients. When dealing with the biggest market in the world, you can’t expect to get away with any downtime. A 24/7 service is absolutely necessary. This is why forex trading companies look to live chat as a way to offer information for all their international customers. Companies like Tier1FX and FxNet believe that live chat is a must when it comes to answering customer enquiries. 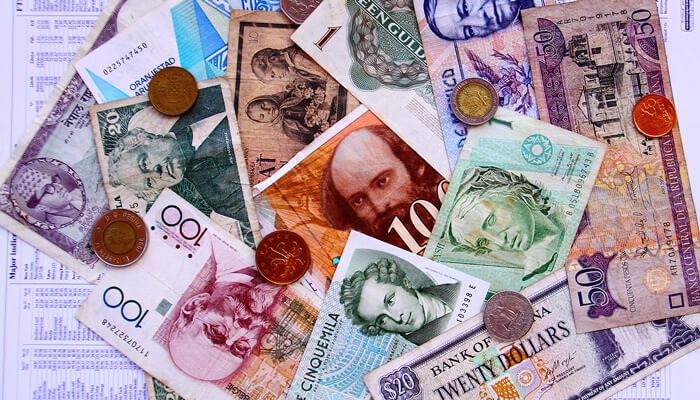 The costs of international calls are simply too expensive to be a viable method of contacting a company. It’s also impossible to provide a toll-free number for every country. We were looking to accommodate the need of quick (sometimes immediate) response, which emails can not always guarantee. Live chat provides quicker and more interactive support than emails and eliminates the cost of phone calls. Another feature favored by forex trading companies is the ability to offer chat for customers living all over the globe. Companies can set up their chat window to display language-specific instructions and offer multi-lingual support. ThinkMarkets and their English, Japanese and Chinese chat is a great example of such implementation. Unlike retail sales, forex accounts need ongoing support and existing clients make multiple and long-term investments when they are satisfied with the support they get. In retail, there is usually no need for second or third contact with a customer to earn a sale. When it comes to forex trading, customer support is a continuous process. It allows agents to earn trust of potential customers who are more likely to make a larger investment after receiving exemplary customer service. 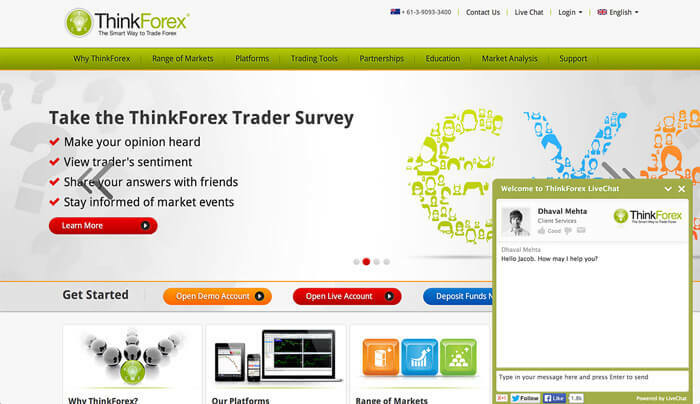 Forex trading platforms can use various reporting options to measure the satisfaction levels of their clients. By closely observing the fluctuations and noticing the chats that contributed to the change, they are able to pinpoint potential flaws in their service. To get the service on the right track, managers can check on the chats handled by agents and offer advice in real time. According to Christopher Reynolds, Director at ThinkMarkets, supervising chats and offering advice can be a great customer service training method for new agents. 1. Provide easy-to-access customer service. Potential clients will need advice at every part of day and night. The chat should be available 24 hours a day, 7 days a week. Aim to answer the inquiries as fast as possible and try to resolve them in one touch. 2. Offer chat in several languages. One of the reasons why international clients will choose live chat over phone when seeking advice will be the lower cost. However, this also means that you should be ready to answer in their native tongue. See which languages are the most popular and hire agents who will be able to provide customer service in those languages. 3. Aim for high customer satisfaction. To make a larger investments, traders need to see that you care about their business. Keep an eye on your customer satisfaction ratings and locate areas that need improving. Your managers can help new agents by coaching their first chats using features like supervision or by going through their chat transcripts. If you’d like to learn more about implementing live chat in a forex company, check out our case studies with Tier1FX. Photo courtesy of Mark Morgan via Creative Commons.